It is My desire and pleasure to hear and answer your prayers, says the LORD. I have invited you to come into My presence and enjoy intimate friendship and fellowship with Me. I created you for this very purpose. I did not want you to ever be estranged from Me, for you are precious to Me. I love to endow you with good things and surprise you with sudden and unexpected blessings, just so that I can see the smile that it generates on your face. I love you and only have good things for you, says the LORD. Trust in My goodness and mercy that will not depart from you. You are My offspring and as you want good things for your children, I want good things for you, says the LORD. You would not want to see your children suffer. I take no pleasure in your suffering, says the LORD. I Am not that author of it, but I Am the finisher of it. I paid the sacrifice for the sin that created the suffering, and it is paid in full as you take this infallible gift of life in Me. It is abundant life. I have abundant peace for you that goes way past what you understand, see, feel and hear. What I have for you goes beyond anything that you can imagine or understand. I Am Almighty GOD in the midst of you, and AM not inept or absent. I have decreed good things for you, and will bring you through every trial and test that you are facing with GOOD success as you follow ME, obey My voice, fellowship with Me and receive all that I have prepared for you on the table of My presence, says the LORD. You have authority and authorization that I have given you as My royal offspring and you are not helpless. I Am your sufficiency and help and what you need is already prerecresitioned for you and awaits your reception. It is all there with no missing elements. Much more than you asked or imagine awaits you. I Am the GOD of turnaround, and I will turn things around for you as you rely solely upon Me and let Me do the leading as you simply follow, with the knowledge that all is well, and it will be well with your soul, for My goodness and mercy and help will not be extracted from you all the days of your life, says the LORD. Amen, You know me, my Lord, and what I am going through! You will restore everything that was stolen from me! WOW WOOOOOOO HOOOOOOO ALL GLORY TO GOD ALONE HALLELLUJAH HALLELLUJAH THANK YOU HOLY SPIRIT AS I BELIEVE RECEIVE AND CLAIM EVERY PRECIOUS WORD OF THIS POWERFUL DECLARATION IN WORD IN THE MIGHTY NAME OF JESUS AND ALL GLORY TO GOD ALONE AAAAAAAMMMEENNNN AND AAAAAAAMMMEENNNN. TIMES THROUGHOUT MY DAY. GLORY !!!!!!! Thank You Father for Your Love! Amen! Amen, thank you Father God ! For you, Misty Dawn Webb-Thomas, please read. Anthony too. Amen! 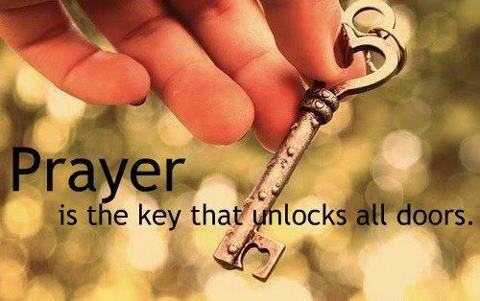 I saw a key just like this one in a vision!!! Thankyou with all my heart my Jesus as I have waited for your perfect timing to restore all that satan has destroyed and stolen by the enemy..
Hallelujah, thank you Lord merciful God, Amen. WOW WOOOOOOO HOOOOOOO ALL GLORY TO GOD ALONE HALLELLUJAH HALLELLUJAH THANK YOU HOLY SPIRIT AS I BELIEVE RECEIVE AND CLAIM EVERY PRECIOUS WORD OF THIS POWERFUL DECLARATION IN WORD AND I RECEIVE THIS IN FAITH IN THE MIGHTY NAME OF JESUS AND ALL GLORY TO GOD ALONE AAAAAAAMMMEENNNN AND AAAAAAAMMMEENNNN. WOW YESSSSSSSSSSSSSSSSS YESSSSSSSSSSSSSSSSS YESSSSSSSSSSSSSSSSS YESSSSSSSSSSSSSSSSS YESSSSSSSSSSSSSSSSS LORD I RECEIVE ALL THAT YOU ARE AND EVERYTHING YOU HAVE FOR ME. THANK YOU LORD!